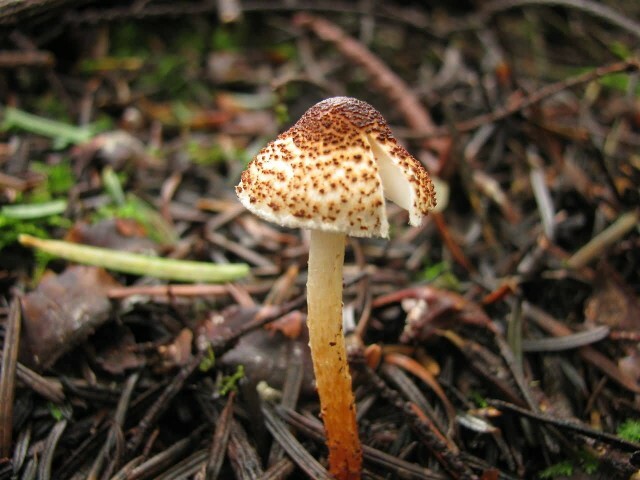 Amanita bisporigera is a deadly poisonous species of fungus in the Amanitaceae family. 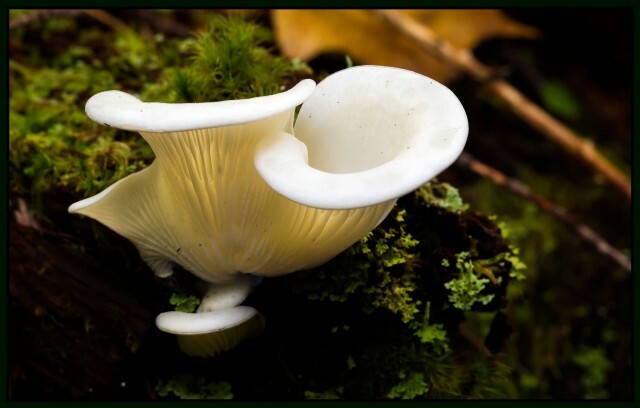 It is commonly known as the eastern North American destroying angel or the destroying angel. The fruit bodies are found on the ground in mixed coniferous and deciduous forests of Eastern North America south to Mexico but are rare in western North America. It has also been found in pine plantations in Colombia. 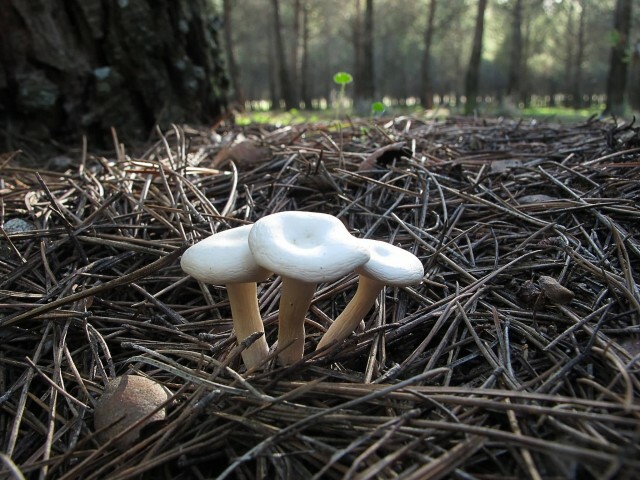 The mushroom has a smooth white cap that can reach up to 10 cm across and a stem up to 14 cm long by 1.8 cm thick that has a delicate white skirt-like ring near the top. The bulbous stem base is covered with a membranous sac-like volva. 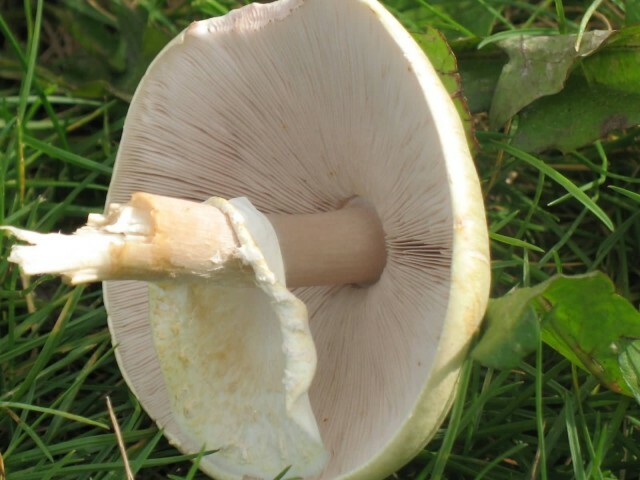 The white gills are free from attachment to the stalk and crowded closely together. The first symptoms of poisoning appear 6 to 24 hours after consumption, followed by a period of apparent improvement then by symptoms of liver and kidney failure and death after four days or more. 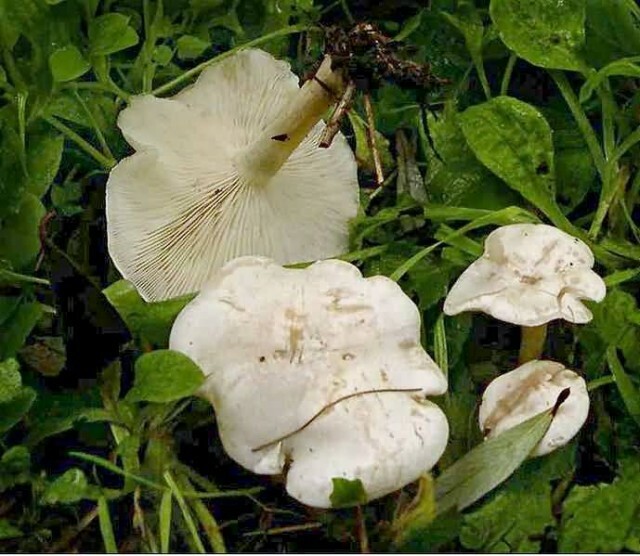 Clitocybe dealbata also known as the ivory funnel is a small white funnel-shaped toadstool widely found in lawns meadows and other grassy areas in Europe and North America. Also known as the sweating mushroom. It derives this name from the symptoms of poisoning. It contains potentially deadly levels of muscarine. 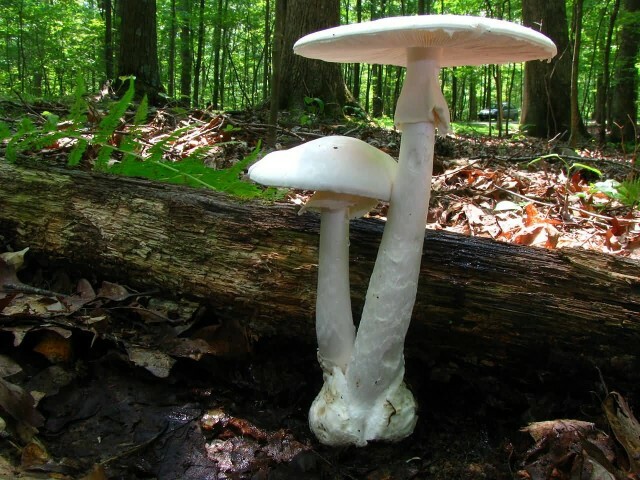 The main toxic component of Clitocybe dealbata is muscarine and thus the symptoms are those of muscarine poisoning namely greatly increased salivation, sweating and tearflow within 15–30 minutes of ingestion. With large doses these symptoms may be followed by abdominal pain, severe nausea, diarrhea, blurred vision and labored breathing. Intoxication generally subsides within two hours. Death is rare but may result from cardiac or respiratory failure in severe cases. The specific antidote is atropine. Lepiota castanea commonly known as the chestnut dapperling is a dangerously poisonous uncommon gilled mushroom of the genus Lepiota in the order Agaricales. It is known to contain amatoxins and consuming this fungus can be a potentially lethal proposition. It was described by French mycologist Lucien Quélet in 1881. 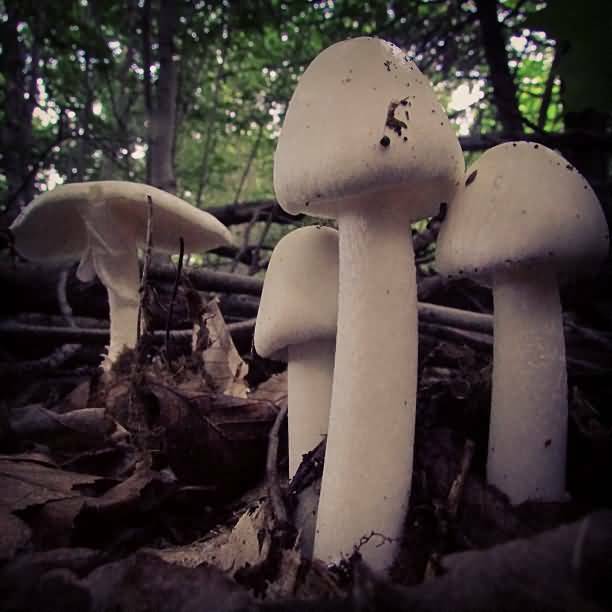 It has white gills and spores. They typically have rings on the stems which in larger fungi are detachable and glide up and down the stem. The cap is broadly bell shaped to flat dark red-brown soon splitting and scaly up to 3 cm in diameter. The spores and flesh are white with a mild taste. The stem is typically chestnut brown. It can be found in coniferous and deciduous woodlands mostly singly or in small groups. 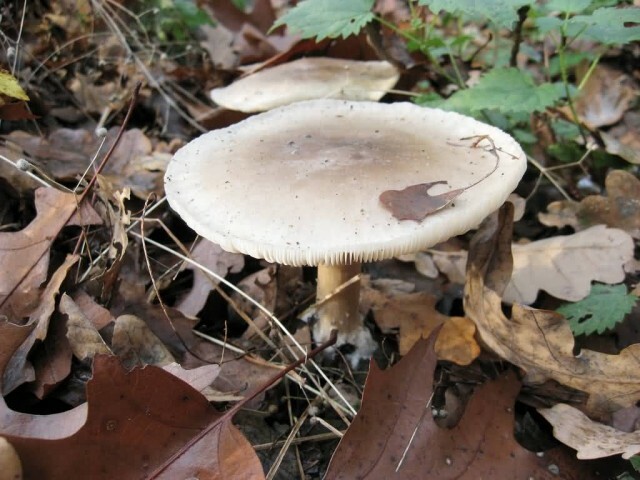 Like several other species of the genus Lepiota it contains amatoxins which can result in severe liver toxicity. Pleurocybella porrigens is a species of fungus in the Marasmiaceae family. The species is widespread in temperate forests of the Northern Hemisphere. P. porrigens known as the angel wing is a white-rot wood-decay fungus on conifer wood particularly hemlock. The flesh is thin and fragile compared to the oyster mushrooms. Pleurocybella porrigens has historically been generally regarded as edible but this has been brought into question by recent deaths apparently associated with P. porrigens consumption. 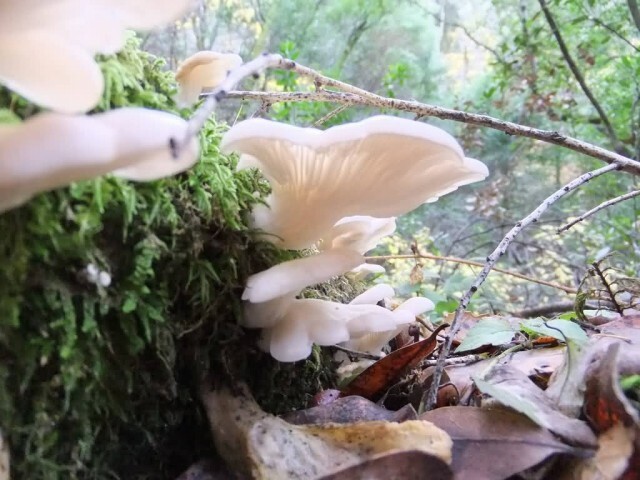 Synonyms for Pleurocybella porrigens include Pleurotus porrigens, Phyllotus porrigens, Dendrosarcus porrigens, Pleurotellus porrigens, and Nothopanus porrigens. It causes acute encephalopathy after eating P. porrigens. Inocybe erubescens also known as I. patouillardii commonly known as the deadly fibrecap brick-red tear mushroom or red-staining inocybe is a poisonous basidiomycete fungus one of many in the genus Inocybe and one of the few known to have caused death. It is found growing in small groups on leaf litters in association with beech. All mushroom guidebooks as well as the mushroomers advise that the entire genus should be avoided. The fruit bodies appear in spring and summer the bell-shaped caps are generally pale pinkish in colour with red stains with a reddish-pink stipe and gills. 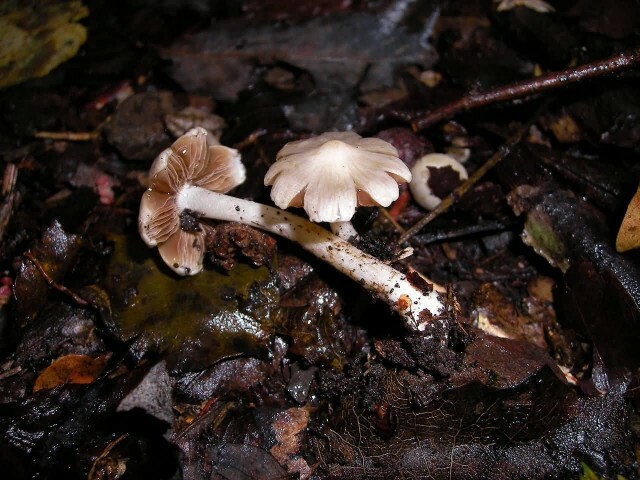 Inocybe erubescens contains the toxon muscarine in much higher doses than Amanita muscaria and has been known to cause death unlike the latter mushroom. Clitocybe rivulosa commonly known as the false champignon or fool’s funnel is a poisonous basidiomycete fungus of the large genus Clitocybe. 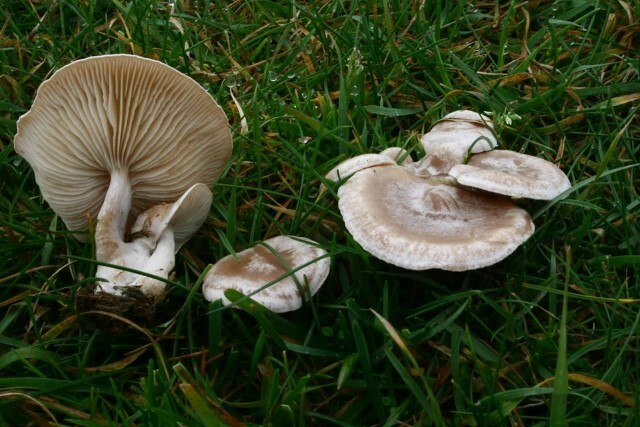 One of several species similar in appearance it is a small white funnel-shaped toadstool widely found in lawns meadows and other grassy areas in Europe and North America. Also known as the sweating mushroom it derives this name from the symptoms of poisoning. It contains potentially deadly levels of muscarine. 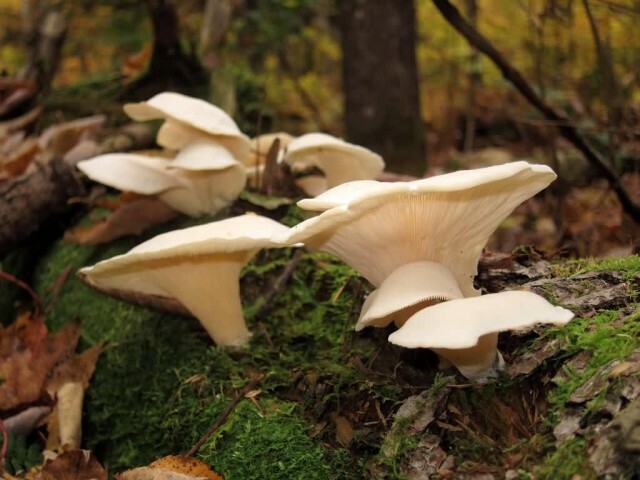 The main toxic component of Clitocybe rivulosa is muscarine and thus the symptoms are those of muscarine poisoning namely greatly increased salivation, perspiration and lacrimation within 15-30 minutes of ingestion. With large doses these symptoms may be followed by abdominal pain, severe nausea, diarrhea, blurred vision and labored breathing. Intoxication generally subsides within two hours. Death is rare but may result from cardiac or respiratory failure in severe cases. The specific antidote is atropine.